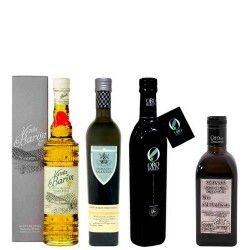 Batch with 3 bottles to enjoy these high quality Extra Virgin Olive Oils, perfect for cooking. 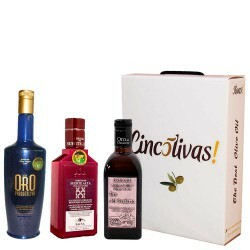 And as a gift, a bottle of Castil de Campos 500ml . 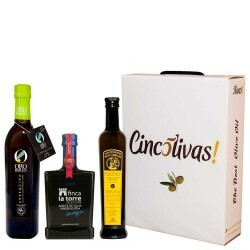 Versado Coupage: It is an excellent oil to use in our daily cooking because of the properties and benefits granted to our body. It has a medium intensity, a light sweet when entering mouth and a light touch of bitterness and itching typical of a good extra virgin. 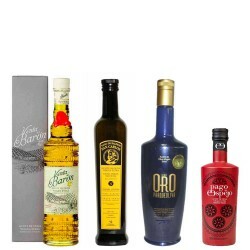 Magnasur Picual: is one of the best olive oils of the Picual variety you can find, for its intensity of flavor and multiple aromas and properties. 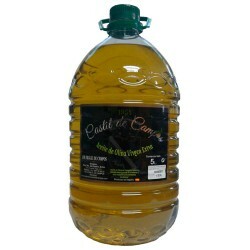 Castil de Campos Coupage: is a very good quality extra virgin olive oil, the price also makes it especially attractive for our daily consumption. 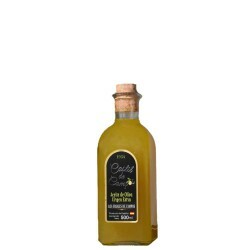 It is an oil very high on flavor, texture and aromas that you'll love. 1 big bottle Versado Coupage 5L. 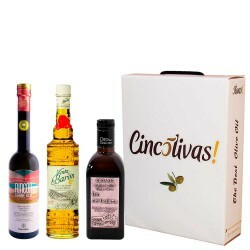 1 big bottle Magnasur Picual 5L. 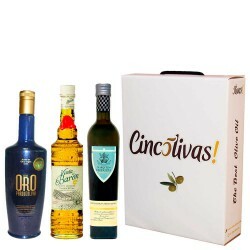 1 big bottle Castil de Campos 5L. 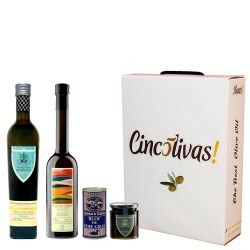 1 x Olive Oil Big Bottle 5 L. Magnasur Picual.